Congratulations to whoever is running the promotions over at The Onionbag. I saw this gem when I visited their site yesterday…definitely got a laugh out of me. 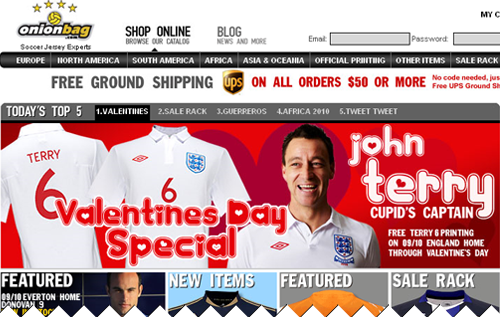 The OnionBag was offering free printing of “Terry 6” on the England Home Jersey through Valentine’s Day. As reports roll in that Alexander Hleb has stepped down as captain for the Belarusian National Team…one can only wonder what else John Terry has been up to. Whatever happened to Ryan Giggs? I found this in the August 7th, 1993 issue of Shoot. 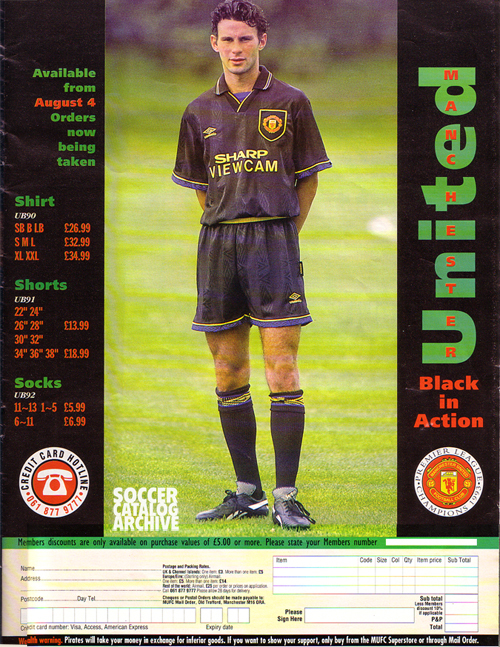 Ryan Giggs was destined to be a star at United…aside from whipping in crosses and taking on defenders he sells a mean kit.